I guess you could put something else other whiskey in a pocket flask. Maybe some nice sipping tequila in summertime, or perhaps a bit of brandy around the holidays. Whatever you fancy. But whatever goes inside, our vote is: you should own certainly own one. Not because you should be sneaking spirits in places you shouldn't have them (although...) But because its summertime, and you should be headed out on adventures. And once you've achieved whatever goal you set, it's good to celebrate a little. 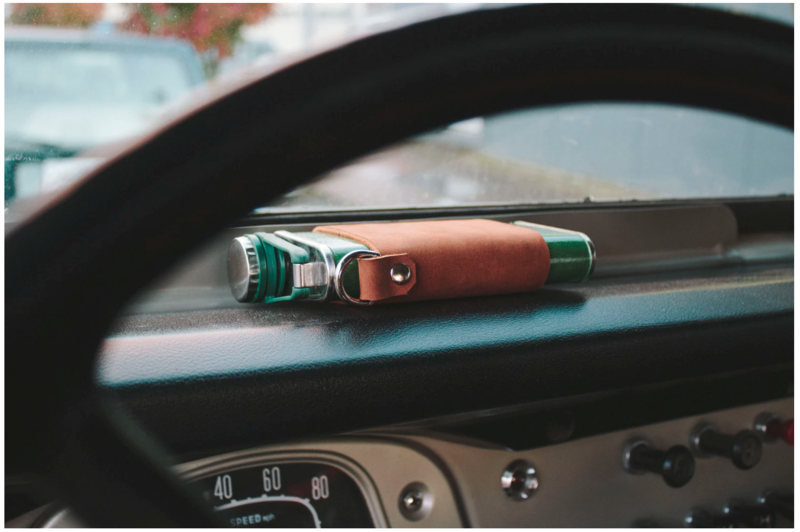 The team at Shwood, makers of wooden sunglasses, came up with this simple project: a diy leather sleeve that fits around the classic Stanley hammertone flask. It features a leather "koozy" to improve grip-ability and style, plus it will shield your hand in case you happen to be sipping hot liquids. And, it includes a sturdy D-ring, for attaching to a pack, to strap to your canoe, hang it from a line, or wherever else you might need to secure it. 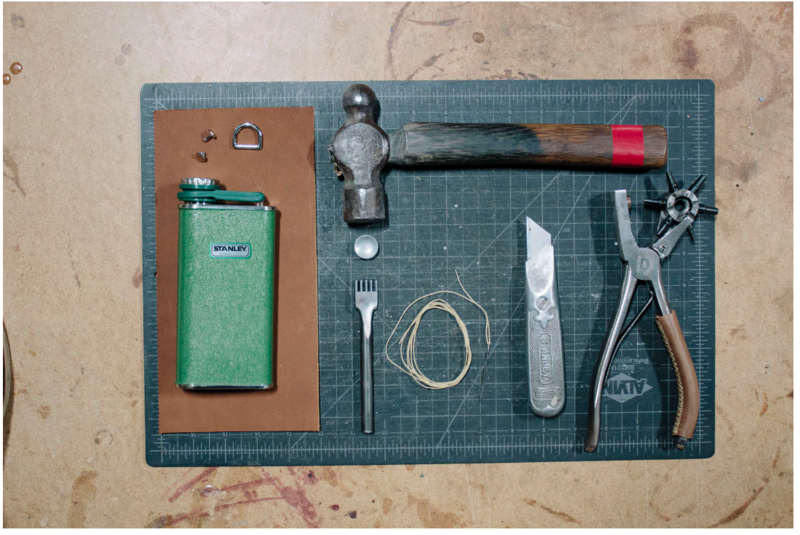 It's a quite simple leatherworking project, requiring only a punch, needle, thread, and an inexpensive rivet setter. You don't even need to know the two-needle saddle stitch...a simple running stitch (over, under, repeat) will do just fine.